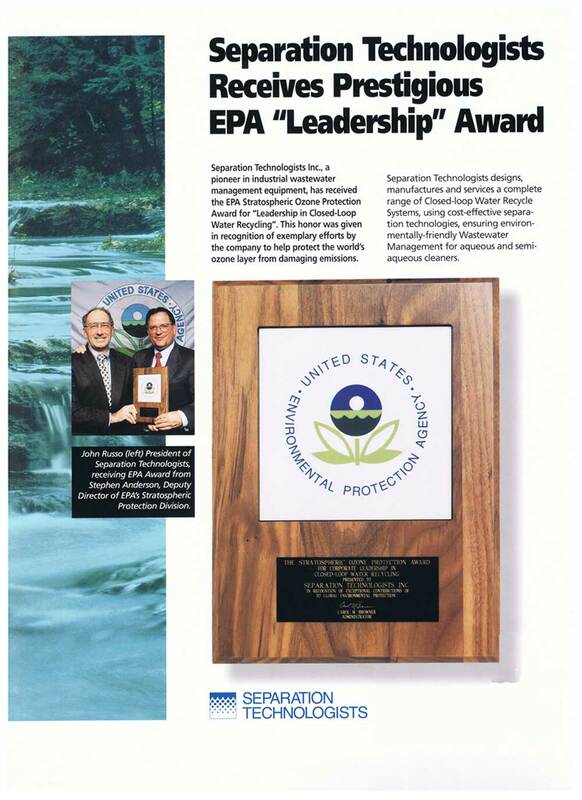 Separation Technologists Inc., a pioneer in industrial wastewater management equipment, has received the EPA Stratospheric Ozone Protection Award for “Leadership in Closed-Loop Water Recycling”. This honor was given in recognition of exemplary efforts by the company to help protect the world’s ozone layer from damaging emissions. Separation Technologists designs, manufactures, and services a complete range of Closed-loop Water Recycle Systems, using cost-effective separation technologies, ensuring environmentally-friendly Wastewater Management for aqueous and semi-aqueous cleaners.